Magento advised in late 2015 that support would be discontinued for all versions of Magento Enterprise 1 come November 2018. Whilst this has changed recently, with Magento extending support until June 2020, this support will only be available for merchants with valid Magento Commerce software licenses in place. It is therefore high time that you start planning the migration of your Magento 1 store to Magento 2 in order to protect your online assets and ensure minimal disruption to your day to day business. It will be. And the main reason is that for Magento, there is no going back. Whilst they have committed to support Enterprise Edition 1.13 and Enterprise Edition 1.14 until November 2018, the majority of their investments are going into Magento 2 and ensuring that it has all the features you are going to need to be successful online in the future. Very little investment will be going into Magento 1, other than ensuring that the latest versions are secure. In addition, the Magento ecosystem as a whole will be investing in producing complementary products and services for Magento 2. The playing field is changing. If you don’t already have a Magento 2 plan, you need to start making one now before you get left behind. What does Magento 2 bring to my store? How can Screen Pages help? What will migrating my store to Magento 2 bring me that I don’t already have? Magento 2 officially supports latest PHP versions (starting from PHP 5.5.x), including PHP 7. Those versions already include new security fixes and improvements that directly affect website speed. On the server side, there is a very welcome Magento 2 improvement – the ability to use Varnish caching out of the box, so third party modules are no longer required. Full Page Cache is also supported. mage compression – it is now possible to optimise images directly on the server using Magento 2 built in tools. With Magento 1, this had to be done manually. Improved process of browser caching for static content. In comparison with Magento 1, the admin panel in Magento 2 is much more user friendly and intuitive. Please find below a list of all the main areas of improvement. New, improved and more modern admin panel navigation interface which allows you to find information easier and manage your store more efficiently from all devices, including mobile. Staging and Preview functionality which allows you to plan changes to your site and schedule them. The Magento 2 Dashboard shows Lifetime Sales, Average Order, Last Orders, Last and Top Search Terms. You can also view Revenue Tax, Shipping and Quantity, check Best Sellers and Customers. New guided product creation workflow allows for easier, more efficient product creation. Support for Rich Media Content via integrations with both YouTube and Vimeo. Colour swatches can now be specified using a colour-picker, hex code, or direct image upload. Customisable admin grids allow business users to control product filters as well as to add or remove columns to a grid or drag-and-drop them in any order. Grids can be saved into “Views” per user for easy re-use and optimised workflow. Improved and faster product data import. The new Marketing section includes Promotions tools, User Content, Communications, SEO & Search – everything you need to retain customer loyalty and promote your website. In addition to all the improvements you will be able to deliver for your customers, as a result of the fact that you will be taking a fresh look at your current site and user experience and looking at ways to improve that, Magento 2 comes with a number of out-of-the-box improvements which you will be able to benefit from. 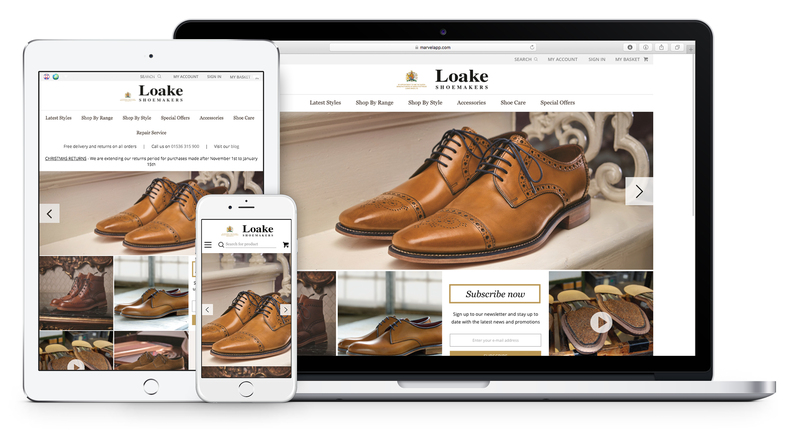 Responsive web design – users can easily access the store via any desktop or mobile device. Since April 21st, 2015 Google grants higher ranking in search results for mobile-friendly stores. Faster front end performance. Website visitors do not have to wait for the full page to load to see the primary content. Magento 2 uses a new two-step checkout process simplifying the road to conversion. The assisted login feature speeds up sign-ins for returning customers at checkout by scanning a user’s email address for an account and prompting for a password. Post-order account creation offers a guest customer the immediate ability to create an account upon placing an order. 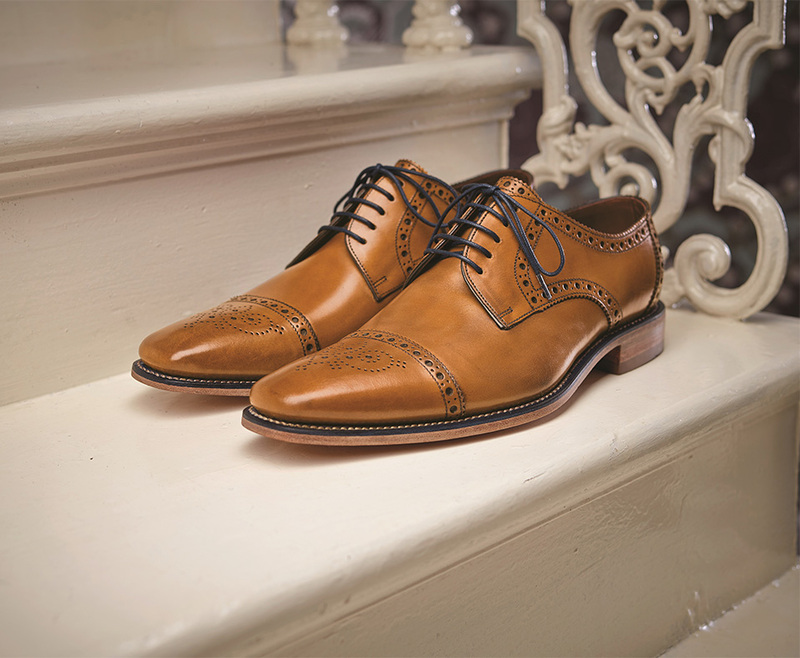 Customers can see what they’ve ordered when checking out as products, quantity, subtotal and product images are shown. 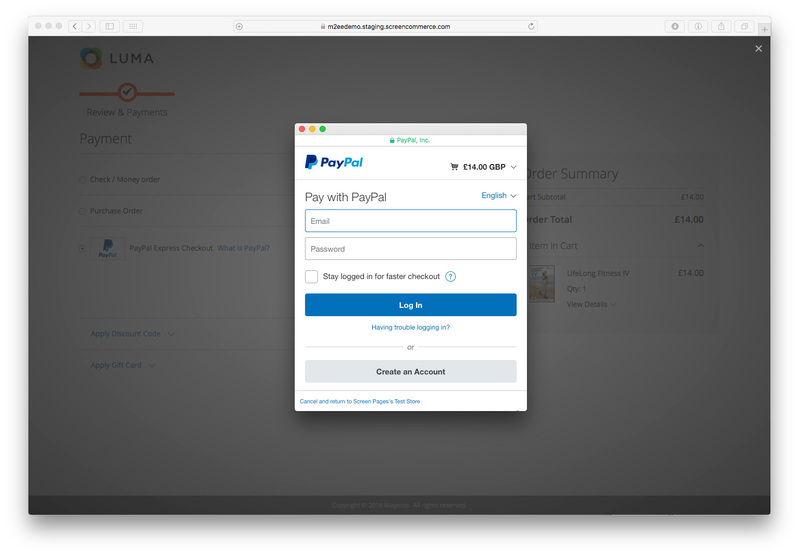 Payment enhancements – for example PayPal in context checkout which enables faster repeat purchases by using PayPal to store credit cards for shoppers. 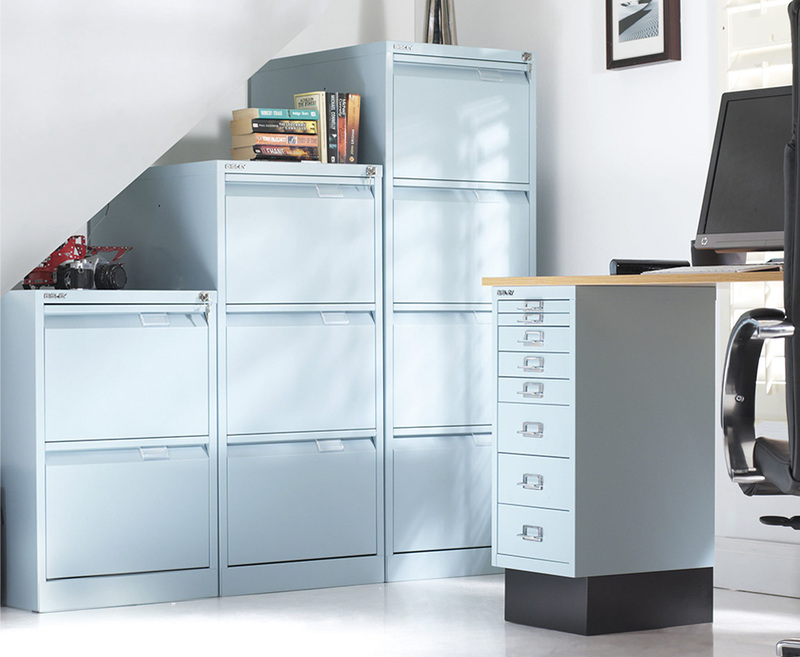 More secure and robust admin and customer password management. Randomly-generated, custom admin path for admin accounts. Improved encryption and hashing algorithms. Improved Cross-Site Request Forgery protection for admin and customer accounts. Cross-site Scripting protection across the entire codebase. Avoidance of vulnerable/dangerous PHP functions such as eval and unserialize. Verified recommendation for secure file ownerships and permissions. File upload security has been improved with strict rules. Based on the latest versions of PHP which improves overall security. Composer-based – easier to manage component versioning and eliminates the need for separate security patches. Rich snippets on the catalogue pages improve search results in search engines. Now that you have understood the possibilities, you need to think about how to go about making the change. Before you can even begin to plan this process, you will first need to select a suitable Magento Solution Partner to help you through this process. This is where Screen Pages comes in. We are a Magento 2 certified Enterprise Partner. Since 2009, we have designed, built, hosted and supported over 100 Magento stores. In addition, we have helped a large number of our clients upgrade between versions and others, move their sites from their old suppliers to us with minimal disruption to their businesses. Migration from any version of Magento 1 to Magento 2 involves four components: front end design, extensions, bespoke customisations and data. The front end of your website is way your site looks to the general public. Any work that you have had done to the front end of your website cannot be migrated to Magento 2 directly but we can work with you to create a new Front End for Magento 2. We will guide you through this process and ensure that you use this chance to make sure your site is responsive and follows best practices in online retailing. Responsive web design (RWD, also referred as responsive design) crafts web sites to provide an optimal viewing experience across a wide range of devices (from large, high-resolution desktop computer monitors to smart phones). Screen Pages has extensive experience of Responsive Design on both Magento 1 and Magento 2 so we are well placed to help you with this. Magento 1 extensions will not be compatible with Magento 2 code. The good news is that many extension providers offer Magento 2 versions of their products available for purchase or download on the Magento Marketplace. Screen Pages recommends that you use this opportunity to review the list of extensions that are currently installed on your site. Business requirements and customer needs change so extensions can often become redundant after a period of time meaning that you may not necessarily need all the functionality you had in your Magento 1 site on Magento 2. Installing the extensions that are required for your business today will not only simplify the migration process, but reduce costs and simplify future upgrades. Custom code used by your Magento 1 store will, in most cases, require either rewriting or migrating in order for it to work on Magento 2. 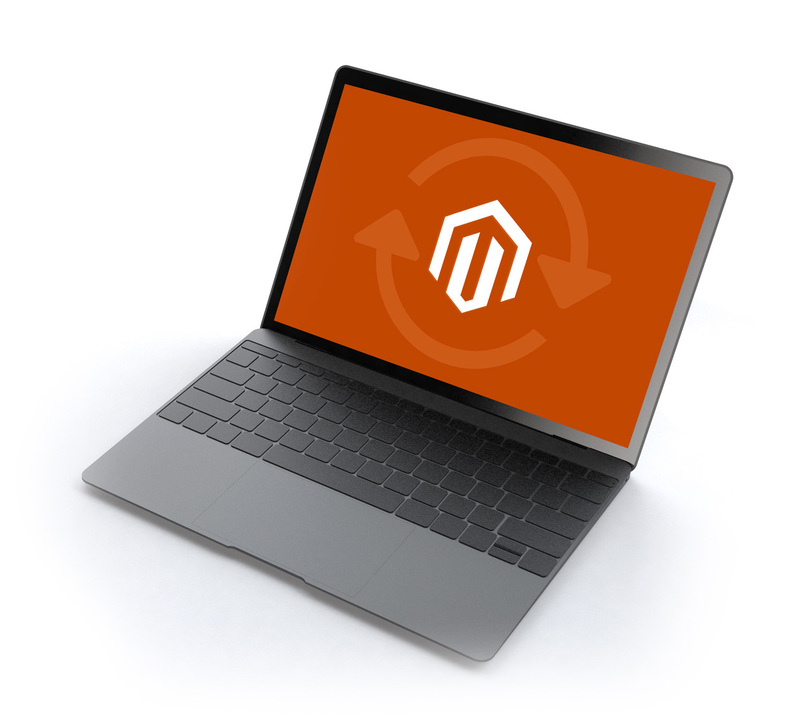 Whilst Magento offers code migration tools that can help with this process, due to platform differences, the migration output requires additional work to make sure it can be successfully installed in a Magento 2 store. Screen Pages has extensive experience of doing this. You will have a lot of data in your existing site ranging from product and category data to customer data and preferences. Moving this data across can be tricky and needs to be managed carefully. Whilst Magento offers data migration tools, using them requires skill and expertise in order to ensure the process goes smoothly. This is where Screen Pages comes in.